I’m off to ride a bike from Gothenburg to Oslo during the next four or five days, and then travel north and live in a log-cabin for a week or so. Look at cows and such I guess. What do Magic players even do on their vacations? Of course he has it. Everyone always has it. Why haven’t I been practicing my Orb flips? Wexio. 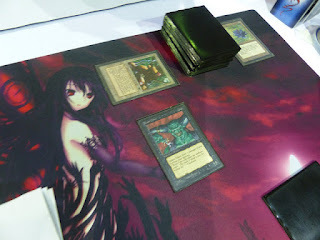 The summer convention of Växjö form a rare twilight between the sanctioned Magic scene and the Mtg underground. 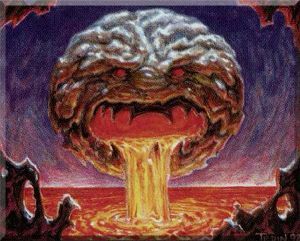 Sure, they host an FNM during the Friday, but it’s no-proxy Vintage. The Saturday draft is Eternal Masters. The Standard tournament is there, of course, but it seems like a footnote for people who enjoy playing Standard rather than some high-stakes competition of judge calls. The tournaments usually host around 10-20 people, all whom really enjoy the game. People laugh here. Some guy drives his car for ten hours to get to Wexio and play his 100-card tribal Gnomes deck. Here, Magic is a game like the others, not an obvious feature of the players or a reason for aggression or tilts. Or perhaps not like the others. It really is the best game. Six weeks of some combination of vacation and leave of absence has just started. Gonna catch me some fish and get me some chilax. Went to a new barber in Gothenburg to get a summer moustache.